Aquaman is not really regarded as an awesome superhero, but thanks to The New 52 relaunch, that’s exactly the point. Abdicating his throne due to his mismanagement of the oceans, he’s returned to full-time heroics to find that the world has a bevy of far more powerful superheroes. The new comic focuses on him rebuilding his reputation with the public at large and rejoining the Justice League. The folks at NetherRealm Studios have embraced this rebooted superhero and have decided to bring him onto their incredible-looking upcoming fighter, Injustice: Gods Among Us. We’ve got a video for the King of the Seven Seas, showing off his fighting style. Here’s a bit about who else we’ll see in this awesome looking game. 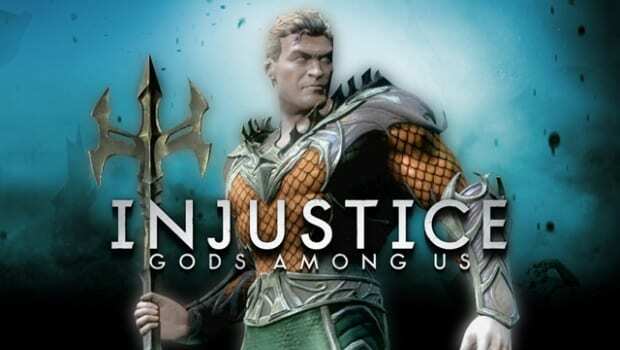 Injustice: Gods Among Us is an all-new game in development by award-winning NetherRealm Studios. The title debuts a bold new fighting game franchise that introduces a deep, original story featuring a large cast of favorite DC Comics icons such as Batman, Green Arrow, Cyborg, Harley Quinn, Nightwing, Solomon Grundy, Superman, The Flash, Wonder Woman, Green Lantern and many others. Set in a world where the lines between good and evil are blurred, players will experience heroes and villains engaging in epic battles on a massive scale. I’m stoked to live in the age of the superhero movie/game/reboot, so this game is right up my alley. Look for our continued coverage as we run up to the April 16th release date. Enjoy the video while you contemplate how talking to fish will help him against the likes of The Joker.